Lucaffe started as a small artisan coffee roaster and has grown over the last 15 years to be a significant supplier of coffee in Italy, and now the world. Retaining the care that only an artisan can supply and taking an active interest in each aspect of the roasting process, Lucaffe controls the growing of the bean to flavour at the cup. 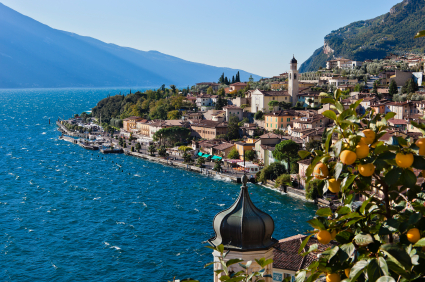 The Lucaffe Coffee Roasting Company was founded in 1996 on the shores of Lake Garda at Padenghe sul Garda by Gian Luca Venturelli. Years at university studying coffee then working with growers in South America, nurtured the passion and intensity with which Gian Luca developed his coffee philosophy. The company grew rapidly and expanded further in 2004, moving to its new headquarters at Carpenedolo (Brescia). Lucaffe is famous for its attention to quality and consistency of roasting. Each roast is handled with the same attention to detail whether it is one of Gian Luca’s special blends or one of their single origin coffees. While renowned for the quality of their roasted beans, Lucaffe is famous for their cialde (ese coffee pods). 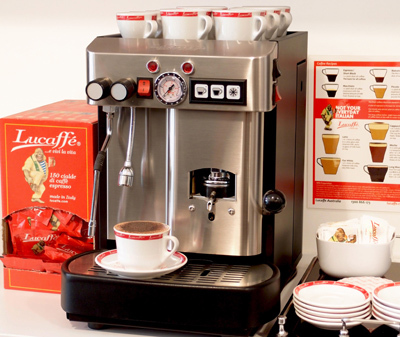 As one of the pioneers in this area Lucaffe is at the forefront of this growing trend in Europe and the world. Gian Luca also produces and distributes La Piccola cialde (ese coffee pod) machines. The collaboration between the two companies, taking the best of the artisan tradition of coffee roasting and espresso machine design, led to full-scale experimentation in the field of "easy served" espresso, making it possible to produce products of exceptional quality on both fronts. 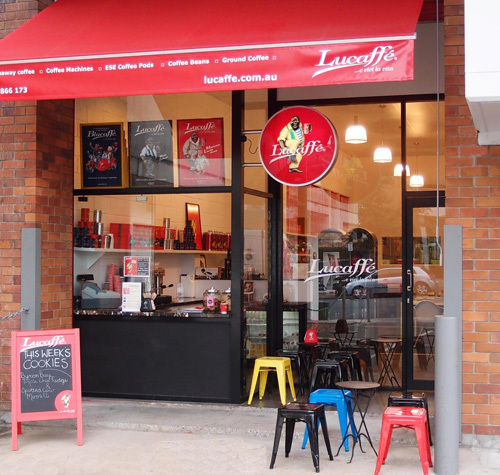 Lucaffe Australia brings that same passion and dedication to the Australian coffee scene. Lucaffe Italy has introduced the “sommelier del caffe” concept to help with the appreciation of coffee around the world. Understanding the differences between the coffee origins and their respective palates is central to appreciating the menu of Lucaffe coffees. The quest for a coffee solution for offices is difficult and confusing. Lucaffe Italian coffee and La Piccola Italian coffee machines deliver a simple answer that ticks all the boxes for an office coffee machine, Fast and simple to use. Energy efficient and easy to clean. Very low maintenance and low mess. Excellent Italian coffee. The coffee is specific to the machine style which means easy stocking and accounting. The coffee is delicious and great value. There are a range of around 10coffees blends and flavours to choose from. You can make a delicious coffee in under a minute. You can make several coffees at a time very quickly. Great for clients. You don’t waste time walking to the coffee vendor and back. No contracts, No fuss, just great coffee. At Lucaffe we have several solutions for your coffee service. Our beans are beautifully roasted to the highest artisan standards and are available in 4 different blends. Each blend has it’s own distinct characteristic to suit the differing tastes you may want to achieve with your coffee. If you don’t rely on the theatre of coffee and you want each staff member that serves your customers to pour the perfect espresso then ESE coffee pods (or Cialde in Italian) are the perfect answer. ESE coffee pods are pre-ground, perfectly tamped, encased in a food grade paper and individually packaged in a modified atmosphere for freshness. Fast efficient, fresh and delicious ESE commercial coffee pods also offer a measurable easy to stock take coffee solution. Whatever you would like to achieve with your coffee service, Lucaffe will have a solution for your particular needs. Our service is fast and efficient and our coffee is amazing. Lucaffe supplies coffee pod machines that take the fuss out of coffee and turns each member of your family in to a barista. Explore the delights of Lucaffee coffee with your friends and family through our 11 different coffee blends, single origin and flavours. There is a coffee to suit everyone.